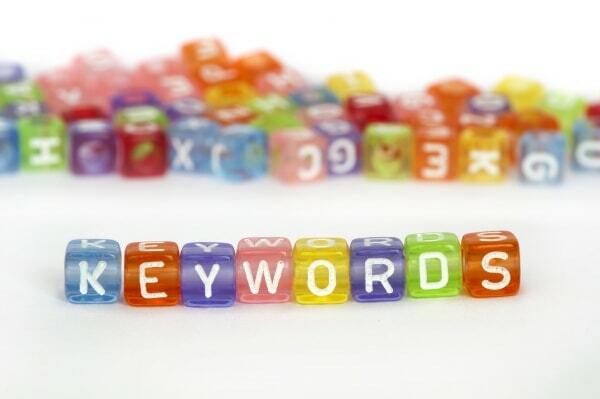 In this article, you learn where and how to use keywords? To achieve maximum benefit, you need to properly use the selected keywords to list so, how and where to use keywords properly taking into account both their suppliers and other SEO professional practice, testing and recommendations. In order to achieve the best possible positions in Google you have selected the title used your main keywords. The most important keywords will always be written in the beginning, and later follows. I will show how and where the title is visible, in order to clarify its importance not only for search engines, but also visitors to the site, because the title can be a lot of things to decide on the content of the page. So you will see in subsequent figures, the same title is the first word about your site, which will be reflected in Google's search results. Next you will see where the browser and the browser's header code. How to correctly prepare the title? It must be the primary keyword. The keyword is followed by the first and the next sequence of importance. The header writing not more than 70 characters (that is 4-8 words). The keywords are separated at the conjunction "and" not a comma "," no dot ". ", Or any other character, and located in quotation marks "|". The mark search engines do not see and so it seems appropriate to individual keywords. Each site page title should be different in order not to confuse the search engines and in this case, not to compete with the internal pages of your site. The most important keywords are written in the beginning. When writing text and other information on the site at all paragraphs of text must be put to good use <h1> ... </h1> - <h6> ... </h6> 9/5000 headlines. <h1> ... </h1> Use only once per page as a home page, or paragraph title. Į <h1> ... </h1 Optimized to include the main keyword of the page. It is recommended that the title of the page and <h1> ... </h1 the title is the same. Uniform so that the Google search engine results visitors first sees and reads the header of the page, so you open the desired page, they expect to see the same header name and you saw the google search results. Otherwise, it is likely that the page "rejection" rate will be large enough for the visitor atidariusiam site can prove that he was looking not at all what it has found and immediately close the page. And whether there was an additional<h1 title="..."> ... </h1> you can simply hover over the location and written over the note appears if additional pop-up note means it is an additional title. Another way to look at - Open the code page (IE View - Source Mozilla: CTRL + U). <h2> ... </h2> - We can use more than one second time. But I disapprove overdo it and forced to add. Text and captions layout should look natural composition, and not just on the inside SEO optimization. <h3> ... </h3> - use as many times as needed to clean and visually look website. It is also still an important element of the SEO Services process. 658/5000 If possible, we use additional keywords for that page. But do not overdo the use of identical keywords, because what is too much, too wrong. Google algorithm also has features such as keyword density in the text, so all write keywords should integrate naturally into text and e involuntarily. When writing the title, first think about whether the reader interested in it above the title, and then only able to use the appropriate keyword. And if it is not possible to insert more then that title sounds clearly and attractively, and because the forced spent keyword. Headlines from <h4> ... </h4> iki <h6> ... </h6> It is not so important as the first three, but they must be use as many times as needed to clean and visually look website. Keyword use the same as the H3. Adds additional title tag, like as h3. With a sufficient amount of textual information is necessary in the text, as in the headlines is necessary to use the key words and their synonyms. However, in no way to force a lot of unused keywords. Using much too many times for the same keyword on Google search engine, the following text will look unnatural and the like spam'inį text. Even it is computed using the keyword density. Keyword density – This is all the words and the keyword ratio (percentage). But one of the key factors for correct use of keywords is a natural use. Some SEO experts claim that it is necessary to strictly calculate the keyword density, which should be in the range of 1-3% or 5-7%. .. keyword is <strong title = "SEO services"> SEO Services </ strong>. What if .. The server pose pictures with a real name, and if there is a possibility you can still include the appropriate keyword. Eg . : standard photos such names are more or less "DCI_001.jpg" and you rename the "SEO-services-procesas.jpg. It is not advisable to rename one keyword all images, as when a customer searches for a certain image and make them your photos optimized for a particular keyword, but it does not meet what is the alternative text or image title and the corresponding negative impact on SEO is concerned. So here's how the text and everything must comply with the real situation, because it is very important or google search result aptenkino user expectations (look bounce rate, time on the site, social media sharing and many other indicators). Meta description visible in Google search results (may be visible and social networks such as Facebook). Meta description is not displayed on the website page and is invisible to visitors to the site (you can see the opening of the site code). One of the basic rules of a fair description of the meta description is as follows - Do people read this description will be convinced to have found a suitable site and clicks specifically on your site. The best way to check whether the proper meta description - it simply must put yourself in retrieving human situation and ask myself whether I spausčiau and go to a web page with the meta description. First of all, for the people, but think about Google and the robots (including the primary keywords). Meta description it is advisable to use the keywords in the page that is part of page title. Still, most sites use meta keywords on the site, although it is already about a year google algorithm does not evaluate these keywords. And do not value so that the site administrator (webmaster) specify what keywords he would like to see the page to the first position, but this forced isolation of keywords can certainly do not reflect the situation of the site, quality or value. This is one of the reasons why these meta keywords are not considered and does not add to the higher positions. Therefore, as in the meta tag, this is not worth your page listed keywords. Another reason why is not worth - because it is the perfect place for your future or existing competitors can easily see with what keywords you're optimizing your site (because there after all, contains the basic keywords) and "borrow" them for their own purposes, thereby saving time keyword search and selection. So, as I understand, these keywords will be visible only to code the site, and visitors, they will be invisible, because they are like most other placed between <head> .. </head> tag‘s. Use keywords to 160 characters. In no way arranged all possible, because it may deteriorate SEO optimization. Use the basic and additional keywords (plus the most common grammatical pasitaikomo erratically as it writes the majority of the google and grammatical errors will be visible only to your site code, and the page will not be visible at all).